The war with the LTTE came to an end in May 2009 with 40,000 casualties according to the UN Expert Panel. Although Lord Naseby has recently contested this figure, we know from the analysis by “The Sri Lanka Campaign for Peace and Justice” that the documents Lord Naseby relied on were untruthful and made it appear that the then Defence Secretary Gotabaya Rajapaksa’s statements are from the British Military Attaché Colonel Anton Gash. Therefore, if the rule of law is to prevail, the murderers of Mullivaikal need to be charged and punished. This was the view of the world at large, with the exception particularly of Russia and China. Those who sought justice therefore knew that no headway could be made in the UN Security Council (UNSC) with these two veto-wielding countries. Although criticism could be made of America, its heart was in the right place in seeking justice for the victims of Sri Lanka. So it was to the UNHRC that the US turned. There the votes went by majority decisions. No country wielded a veto. It was an opportune moment for the Tamils who had suffered so much when a new sympathetic government was elected in January-August 2015. The government agreed to uphold the law and hold inquiries into war crimes using international judges. Mr. R. Sampanthan the Tamil leader had a good relationship with the government. The dark skies over Tamils seemed to lift. There were two flies in the ointment, however. 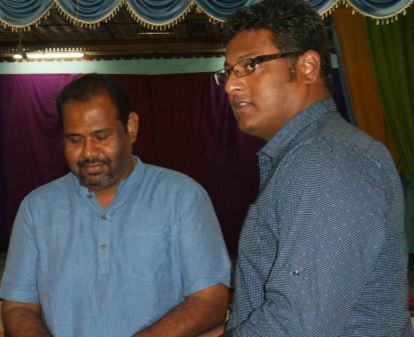 One was that Justice C.V. Wigneswaran who had been brought in as Chief Minister by Sampanthan to introduce good governance, developed ambitions of his own after he performed so well in the NPC elections using the ITAK vote-bank. He refused to campaign for the ITAK at the parliamentary elections and worked closely with the upstart Tamil Congress which had no base. Moreover, he seemed to side at the local government elections with President Rajapaksa who held command responsibility during the murders. Prof. Kumar David says that Wigneswaran and Vasudeva Nanayakkara whose children married each other, “both want to undermine the Sirisena-Ranil administration and incite racial hatred.” David seems quite right going by Wigneswaran’s explicit praises of Prabhakaran and his anti-Christian rhetoric. Sampanthan continued to work for peace, joining hands with the government. However, the government has been cheating. Refusing to prosecute the war criminals and calling them national heroes instead, and making no progress on the devolution promised through a new constitution. In this Sampanthan is seen as working with an unyielding government. He and all peace-loving Tamils are the losers. The result was clear in the local government elections. “The Damila [Ponnambalam] bowed low before the Sinhala Lion,” DS Senanayke, “and was made a Minister, thereby striking one million Central Tamils off the electoral registers” by voting for the Indian and Pakistani Residents Citizenship Bill (3/1949) which denied them their franchise. GG Ponnambalam lost badly in subsequent elections. He was dethroned as the Tamil leader by SJV Chelvanayagam and his ITAK. Ponnambalam’s son Kumar tried to make a comeback by identifying with the LTTE and was posthumously made Maa Manithan (meaning Great man) by Prabhakaran. His LTTE positions lad to his defeat at the parliamentary elections. 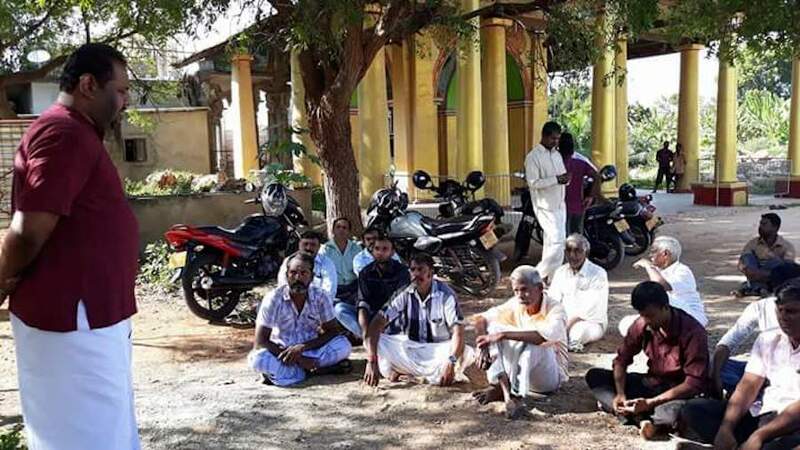 Kumar’s son Gajendrakumar who had been made an MP by Prabhakaran was trounced in free elections held in August 2015, and Sampanthan’s nominees were easily elected. Now, however, the repeated onslaught by Wigneswaran and Ponnambalam, seems to be having its effect on Sampanthan’s base. That is sad because a man who took risks for his Tamil people and the Sri Lankan nation through policies that favoured peace and justice, is suddenly seen to be in kowtow with a government that calls our murderers national heroes, and seems to be turning back on promises of good governance made during the 2015 elections. It seems at first glance that Mr. Sampanthan has surrendered to Wigneswaran’s line of thinking. My confidence in him, however, remains. It was a just war, we can agree, given the periodic riots, state brutality, etc. The LTTE methods were violent and terroristic, but Sampanthan does not call their methods just. He does not say the international community was wrong. He asserts that we do have rights to win back. So the Sampanthan speech is technically correct. Why it is wrong is that a simplistic reading, which is what most readers will engage in, would lead to the view that the Tigers were heroes, something that Wigneswaran said explicitly, and what President Maithripala Sirisena says about Sinhalese murderers in uniform. In this sad milieu, the ITAK is being cornered into rolling back its high principles and seeming more militant in the face of Sinhalese intransigence and Wigneswaran staking the militant high-ground. Remember, when UNHRC 30/1 was passed, the grandson of the original G.G. Ponnambalam who was bought by D.S. Senanayake, Gajendrakumar Ponnambalam, trying to stake a strong LTTE position, burnt a copy of the resolution claiming it had nothing in it. At the time, he was married to a strongly pro-LTTE British Tamil. However, Gajendrakumar has now divorced her. A day or two ago, he married a Christian divorcee (an oxymoron) believed to be accountant Diana Naagaruby Kandasamy of Chinnaalady, Caradive (who like his grandmother married twice). (Details are given because he seems to have kept them under wraps while a newspaper gave different details). Still yearning for succession to the LTTE mantle, during the recent UNHRC hearings on Sri Lanka, he went again to Geneva seeming to demand punishments for war criminals using the same resolution he had burnt as useless. There he made a pitch for switching from UNHRC to UNSC in New York. At the UNSC the Tamils have no one to talk for them while there are countries ready to veto anything against Sri Lanka. All the painstakingly gathered eye-witness testimony and video evidence is in Geneva; not with the UNSC. The many activists in Geneva fighting for justice for victims pleaded with Gajendrakumar not to jeopardize their work which was slowly but surely moving forward. According to a Muslim activist there, the other activists fled from Gajendrakumar merely on seeing him. And then something happened today at the Jaffna Municipal Council (JMC). 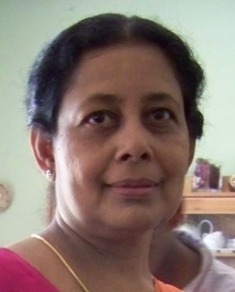 V. Manivannan is Gajendrakumar’s sidekick. During the Local government elections, Gajendrakumar was the chief speaker releasing the party manifesto from the Maviddapuram Kandasamy Temple. It was a serious breach of election law. There were front-page headlines in the Valampuri and Ethiroli newspapers about the manifesto being blessed at this famous temple. There was a Facebook page. There was a photograph showing Gajendrakumar speaking at the temple. Yet, the police only charged the Iyer. When that was dismissed and the Election Commission complained to the police, a case was filed against Manivannan whose part was minor. The police suppressed all the evidence, putting the photos and news cuttings in the file without mentioning them in the B-report to court. The case was naturally dismissed for lack of evidence. Police action was strange. During elections enormous diaspora money to throw around was evident. 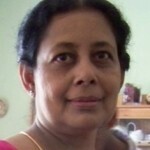 Today, this Manivannan who was prepared to take the fall for Gajendrakumar, moved a motion at the Jaffna Municipal Council (JMC) saying that the war-crimes hearings be moved to UNSC because the UNHRC “had no powers to conduct war crimes trials.” The UNP and EPDP decided to support the motion. It was clear that it would pass. ITAK opposed it because it was not true. Mayor Emmanuel Arnold said it concerned a matter so close to Tamil hearts and identity that it should not be demeaned through the JMC where it would have no meaning. To the untutored public, a motion at the UNSC seems clearly superior to anything at UNHRC. The ITAK erred grievously in seconding this motion though member N. Logathayalan, not wanting to be seen opposing it. It passed nem. con. without a vote. By pushing this harmful resolution, Gajendrakumar has scored a major victory for his decrepit party. However, this resolution will yield nothing and thwart the delivery of justice. We must build on the work already painstakingly done in Geneva. The government has to deliver on the promises of 2015 made on good governance and justice to Tamils. Or it could lead to greater militancy of Tamil youth as seems clear from the ITAK’s electoral reversals. The Sirisena and Wickremesinghe government will bear the responsibility for devaluing those Tamils like Sampanthan who come forward to take risks for us Tamils – and thereby jeopardize the well-being of this nation.